This beautiful pair of circa 1900 French farmhouse fruitwood benches were recently acquired form a local clearance. Both benches are in lovely condition for their age and we believe the timber used in the construction of these items is cherry wood. This is a common timber for items from France to be made from. Both benches are structurally sound and have a lovely warm mellow glow to their appearance. 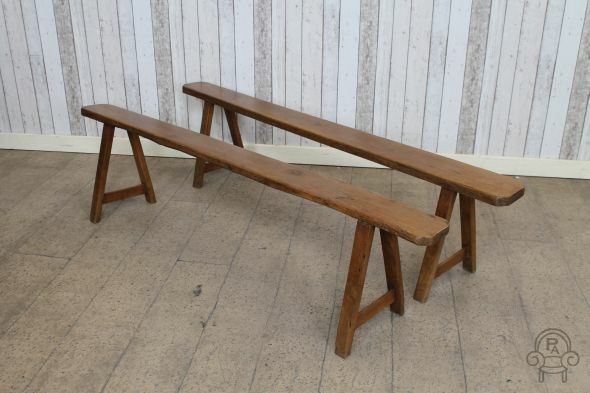 These benches would make a lovely addition to any large farmhouse table or country residence.